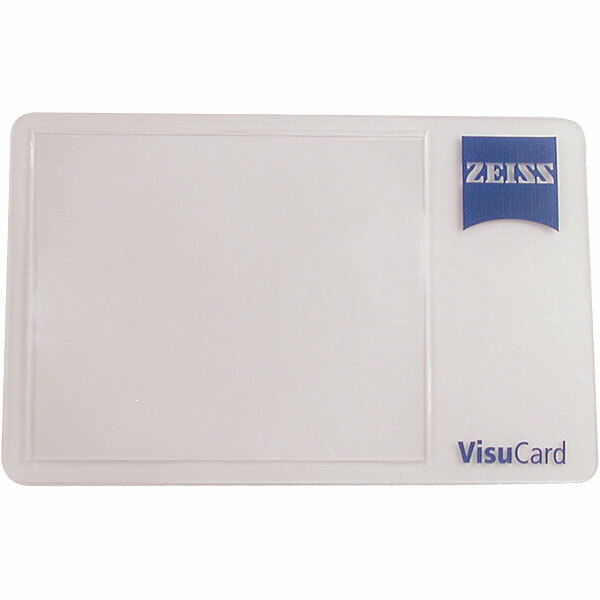 "Credit Card Sized 3x Magnifier"
Aspheric microconstructed credit card size 3x magnifier. Optic measurement: 2-1/4" x 1-15/16". 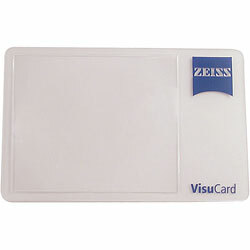 Card measures 3-3/8" x 2-1/4" . Vinyl cover included.